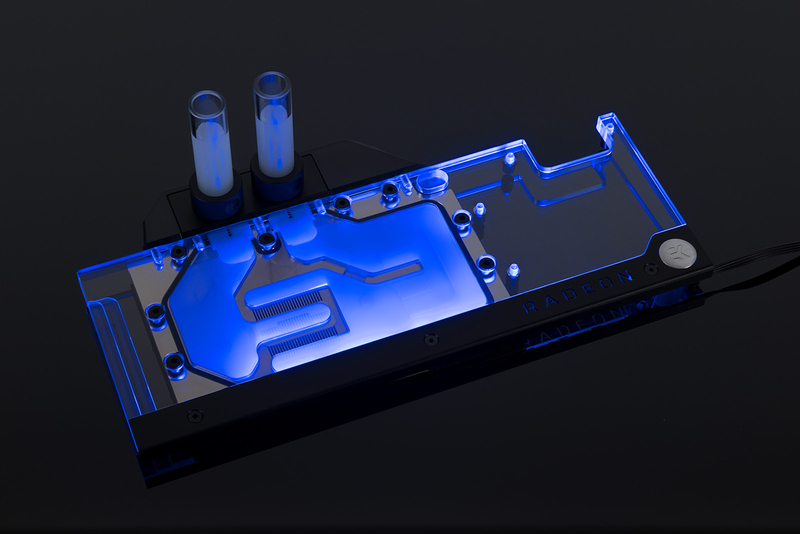 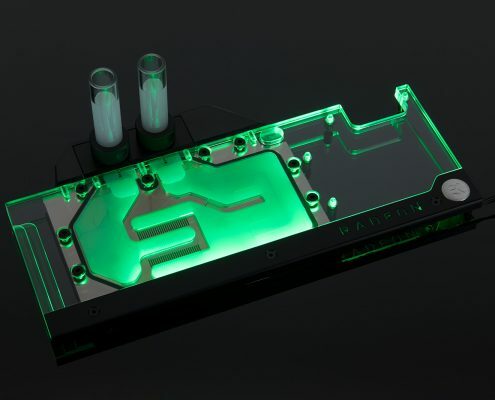 EK® is releasing an RGB water block for AMD® Radeon® RX Vega based graphics cards! 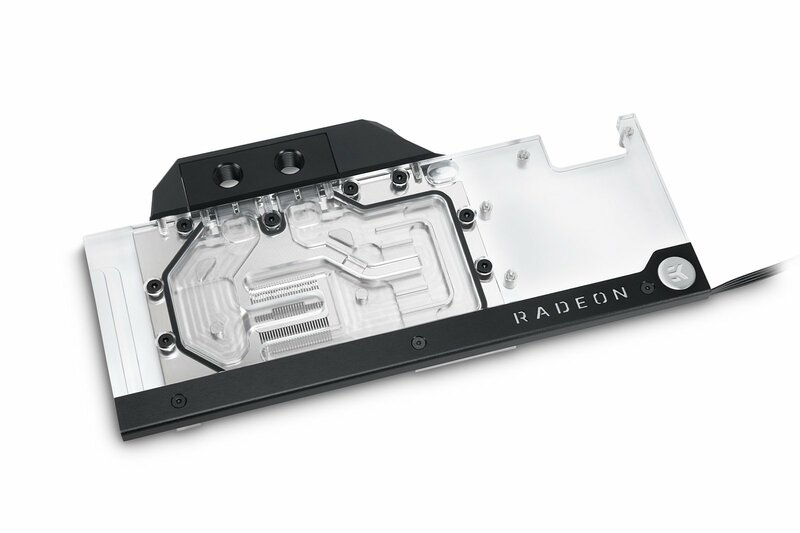 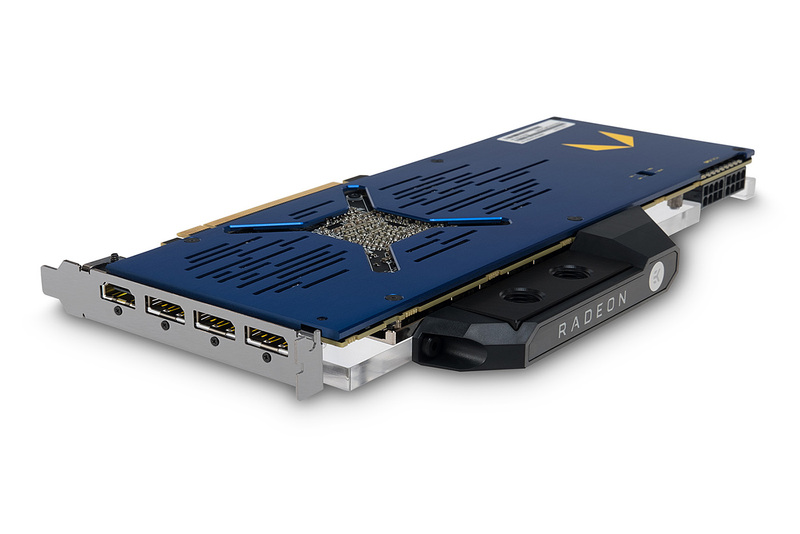 EK Water Blocks, the Slovenia-based premium PC liquid cooling gear manufacturer is expanding its RGB portfolio by presenting a Full Cover water block for AMD® Radeon® Vega architecture based high-end graphics cards. Customers will be able to transform their graphics card into a beautiful, bright single slot card while the water cooling block will allow the GPU to reach higher frequencies, thus providing more performance during gaming or other demanding tasks.